The education a child receives at a young age is designed to contribute to their overall development. An effective early childhood development program can provide a foundation for long-term physical and mental health. Learning starts before formal education traditionally begins. And, these experiences at a young age contribute to the overall development of children. This includes the environments that a child is subject to – everything from the pregnancy through preschool. On top of this, the overall quality of the care they receive, and the relationships they build with adults and caregivers will drive the child's cognitive, emotional and social development. Early childhood development is a shared responsibility between parents and the caregivers that they trust. Therefore, parents and caregivers working together on curriculums and strategies will lead to the best results for children. For child care business owners and operators, investing time and resources into the well-being of the children at your center is paramount. 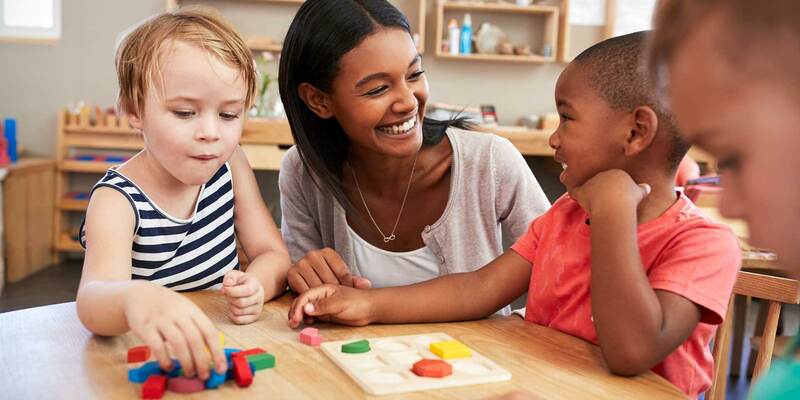 When it comes to early childhood development, there are several key aspects that child care centers, daycares, and preschools should focus on. Let’s explore a few of them. Early childhood development has a lot to do with training the forming brain. Creating positive experiences for children during the developmental stages will have long-term benefits, and these experiences can’t be re-done. On the flip side, early experiences that are adverse or negative will increase the likelihood of poor health and development across the length of a child’s life. The foundation for a child’s physical and mental health is formed during early childhood development. Their exposure to new experiences and social situations will impact their ability to adapt to change in those environments, as well as their capacity for resilience against adverse circumstances. By focusing on the development of a healthy brain through learning, caregivers can instill the desire to learn and the willingness to cooperate with other students and peers. Children who begin to receive education at an early age usually experience improved emotional, social, and brain development. Providing children with the appropriate care and support to become physically healthy, mentally alert and emotionally secure is a foundation for their future. There are proven links between early childhood brain development and education, and that path to educate children starts long before the traditional years of schooling. Parents should begin educating their children at an early age before eventually sharing that responsibility with professional caregivers. The expectation is that they will provide a caring and supportive environment for children to grow outside of their natural comfort zone at home. The environments that children are subject to during early development should be well-rounded, reliable, and healthy. By creating an environment that promotes interaction, collaboration, and teamwork, caregivers will be paving the path for long-term health. The first eight years of a child’s life are crucial for identity development, and parents and caregivers should work together to explore the best potential avenues. During these years, children develop the foundation of their future, including their self-identity, and they begin to form relationships within the environments they are subject too. In a way, caregivers are the first exposure to authority figures that children will have to adapt too. As a child care provider, you and your staff will be building the first environment that your students will develop in away from home. One of the most important things is for a child to develop an understanding of how their behavior affects them, and how their behavior affects others. Providing children with opportunities to learn and develop in healthy environments at a young age while experiencing positive interactions will be beneficial in the short term as well as the long-term. That is the responsibility of their child care providers. Learn how Procare helps child care providers better manage their business. I called with one question on my mind, and the service rep was very help with each additional question I thought of as we continued to talk.